The extraordinary world of the Louisa Guinness Gallery has been packed into a new book, Art as Jewellery: From Calder to Kapoor. The gallerist, who specialises in artist jewellery, opened her Mayfair gallery in 2003. 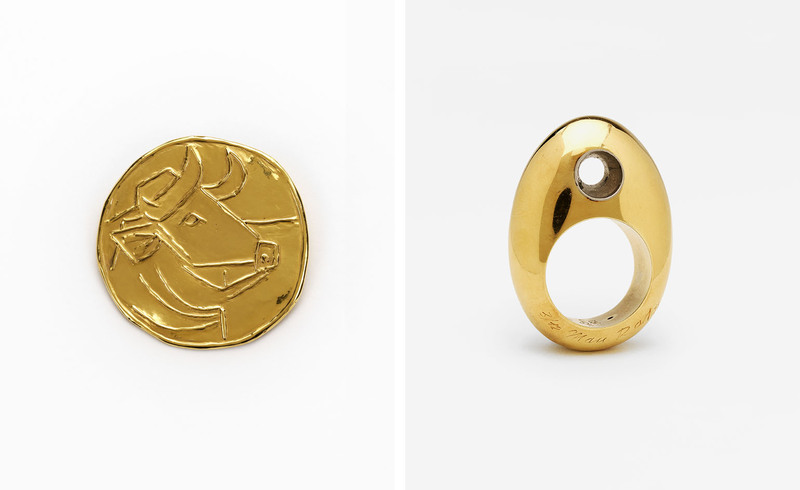 Since then, it has revealed the wealth of jewellerydesigns that exist in the art world, showcasing designs by artists from Man Ray to Lucio Fontana and Conrad Shawcross. 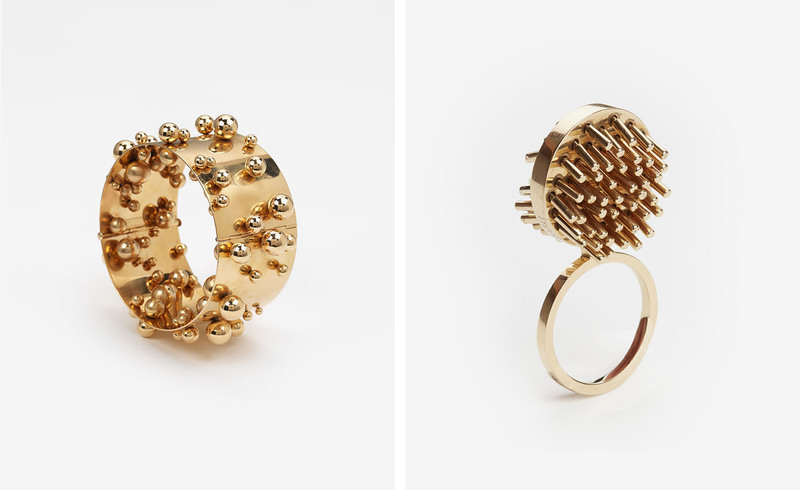 This weekend, a selection of her exceptional artist jewels are on show at Design Miami. Between sculptor Emily Young’s lapis lazuli designs for Victoria Beckham, Gavin Turk’s chewing gum cufflinks, Peter Blake’s collage necklaces and Lucio Fontana’s lacquer cuffs, readers are presented with a keen sense of artist experimentation as their gaze transcends canvas and gallery space to fix on the body. For artists like Turk and Young, the chance to consider jewellery offers a diversion from studio work; to think on a different scale and explore new and often precious materials. 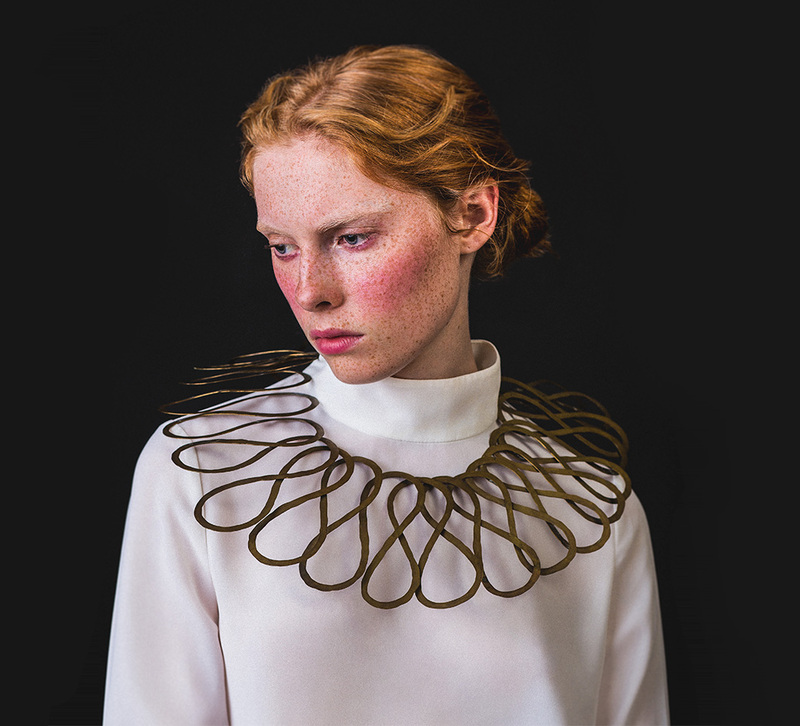 The resulting creations explore the role of artist jewellery in a wider art and design context. As Guinness sees it: 'The goal of the artist when creating jewellery is not necessarily to enhance the beauty of a gemstone or the wearer, rather it is to complement the role of more traditional jewellery. Artists’ untrained eye and, often, lack of knowledge in production techniques, does not restrict them from conceiving designs that might elude a classic '‘jeweller'’'. For some of the featured artists, the idea of creating bodily adornment has offered a direct connection with a chosen subject. Man Ray, for instance, was interested in jewellery for its relationship to the skin. Ray crafted crucifix-shaped pendants that mimicked the curved cleft of a pair of buttocks and a silver eye mask that charted the contours of the wearer’s face. Niki de Saint Phalle meanwhile, used jewellery as a reflection of a woman’s perceived role in society, depicting a crying woman in a gold, marble and diamond pendant. Then, of course, there is Alexander Calder, whose sculptures translate sensationally as jewels. His suspended beams of brass wire resemble his mobile works, and also offer a confrontational take on femininity – at once elegant and somewhat aggressive. Prison bar-like necklaces of hammered brass, or a spiny coiled collar named ‘The Jealous Husband’ entranced collectors such as Peggy Guggenheim enough that they began to view jewellery as a form of sculpture in its own right. 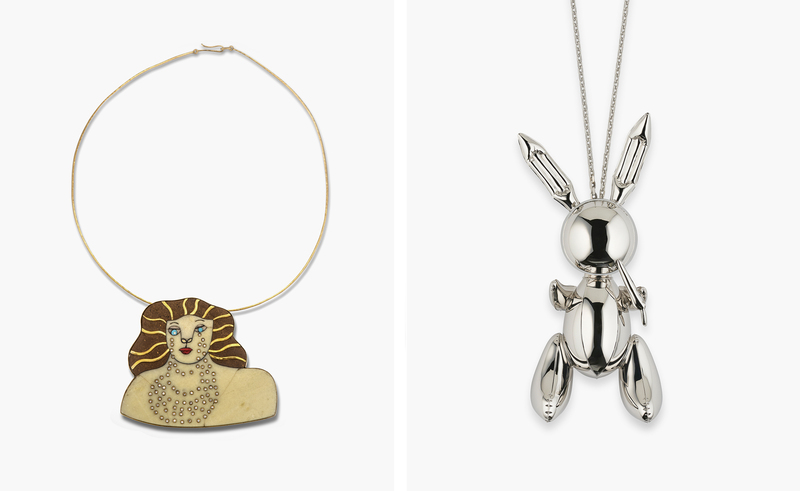 Art as Jewellery: From Calder to Kapoorexplores the growing passion for artist jewellery. As Guinness says, 'Artists can create a work that is more conceptual and may need greater explanation, but once the story unfolds, the message is powerful'.